1867 found General Custer and his Seventh Cavalry heading south to fight the Indians, resulting in a military trail crossing Hayes County near Frenchman River east of what is now Palisade. In 1880 the famous Texas cattle trail crossed the west part of Hayes County to Ogallala. Located centrally between trails, a town emerged named "Hayes Centre." Both Hayes County, created by the state legislature in 1877, and the town were named for President Rutherford B. Hayes. From one public windmill in the middle of main street in 1885, our town has progressed to a modern progressive community. While in the early days horses carried supplies in, trucks now travel an all-weather highway connecting the town to interstates 70 and 80 and the local highways. 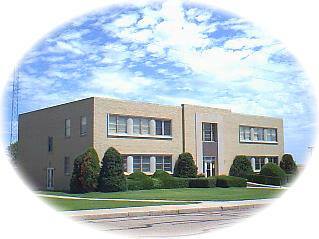 A consolidated county K-12 school system located in Hayes Center is well supported as local people enjoy the school activities and sports. The 4-H fair grounds, league ball games, rodeo arena, sand green golf course, and a well stocked library all offer enjoyable social activities. The lack of a doctor is overcome by a well staffed volunteer fire department with EMT rescue squad and ambulance. A four-unit low income housing is an added plus for the elderly. For the past eight years, many local farm families have received 100-year continuous operation awards. The rich farm lands surrounding Hayes Center continue to be the primary source of income. A new feed lot north of town and expanding oil drilling promise a boost to the economy. Currently, 20 or more businesses serve the community. Throughout the years the people of Hayes Center have been there to support each other in times of need and happiness. When you're traveling across the scenic prairie route along Highway 25, you'll want to take advantage of one of the few sand-green courses found in Prairie Lakes Country. There are nine holes of golfing pleasure that can be found by avid golf lovers.